This weeklong contemplative experience invites you to a deep encounter with God, Who is Love, and offers you personal prayer time to rekindle gratitude in your heart. The silent retreat will include daily conversation with a spiritual director, the opportunity for daily Eucharist, and ample time for prayer, meditation and rest. Walk the labyrinth, get a massage (extra charge), enter the silence and discover the path of Love and Gratitude that beckons you forward. The retreat begins on Sunday evening with dinner at 6:00 p.m. and Mass at 7:00 p.m. We welcome you to arrive any time after 3:00 p.m. The retreat concludes at 10:00 a.m. on the final day of your stay. This retreat is co-sponsored with the Spiritual Life Center. 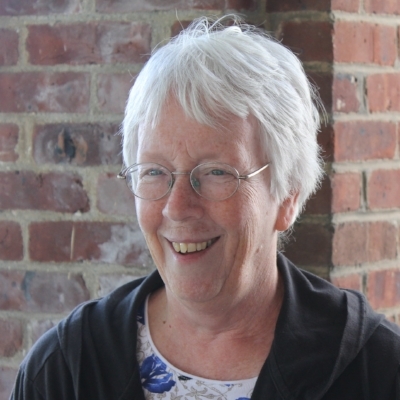 Cathleen Murtha, D.W. has been a spiritual and retreat director for over 25 years, serving most of those years at the Spiritual Life Center, West Hartford, CT. She has been an active participant and leader on the Coordinating Council of Spiritual Directors International. She brings to her ministry a deep reverence for the power and presence of the Holy in all of life. Joanne White has served as a spiritual director for 15 years, supervises interns in the Spiritual Direction Internship and leads retreats in CT and NH. She holds an MA in Religious Studies and an MBA and has worked with for-profit and non-profit organizations. Joanne has a passion for spiritual direction and a deep appreciation and gratitude for God’s ever present grace in the transformation of herself and those whom she serves.